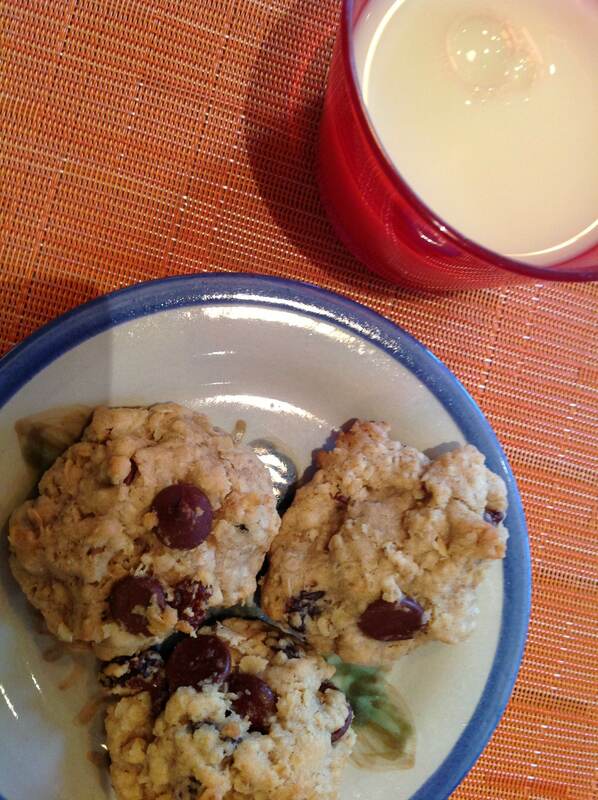 Chocolate chips, raisins, cinnamon, and nutmeg were extras added on a recent rainy day…yum! This is a small batch recipe from my mom Julia McKinstry, née Griswold’s, 1950’s home-ec class at Bellevue High School. For years, we’ve been turning these out for a quick treat or to round out a lunch bag. Drop in spoonfuls on baking sheet. Bake in 375-degree oven for 8-10 minutes.